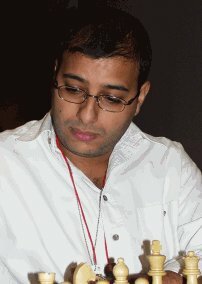 July 2005 FIDE Rating list released! With Kasparov in retirement, the #1 position on the rating list is up for grabs. Veselin Topalov gained 10 ELO points to catch Viswanathan Anand (+3) at 2788. The two will perhaps settle the score during the FIDE Championship. Both have been in good form lately. Peter Leko (2763, +0) remained steady while Vladimir Kramnik continued his slide (2744, -9) and the leverage for holding onto his title is eroding rapidly. Vassily Ivanchuk passed Kramnik and rests at #5 (2752, +13). He has bolted past countryman Ruslan Ponomariov (2704, +9), but both have been playing inspired chess as of late. Peter Svidler jumped three spots to #7 (2738, +13) while Judit Polgar (2735, +3) and Etienne Bacrot (2729, -2) held while the biggest jumped occurred when Levon Aronian entered the top 10 (2724, +31). Gata Kamsky has entered the list again at #19 at 2700. Judit Polgar (2735, +3) widens her lead over her sister Susan Polgar (2577, +0) who rarely plays in tournaments these days. Xie Jun (2573, +0) holds steady while Koneru Humpy (2531, +23) picked up a boatload of points playing in 40 rated games! Alexandra Kosteniuk has taken the #5 spot while Maia Chiburdanidze (2509, +0) has stagnated. Women's World Champion Antoaneta Stefanova jumped to #7 (2495, +4) and recently had a strong performance in Bajada de la Virgen. Kateryna Lahno's (2498) European Women's Championship should vault her a few spots toward the top five. Pia Crambling (2494, -5), one of the first women to earn a GM title, continues to hold a spot among the top ten. 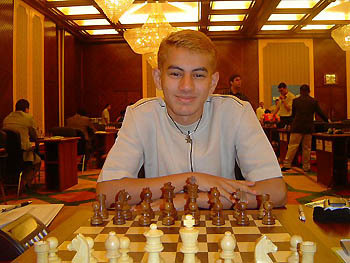 Azerbaijan's Teimour Radjabov (2682, +9) regained his junior rating crown and was strong in the past European Championships. The Ukraine's Andrei Volokitin (2671, -8) slides for the second consecutive list with David Navara (2663, +16), Artyom Timofeev (2661, +39) and Hikaru Nakamura (2660, +3) on his heels. 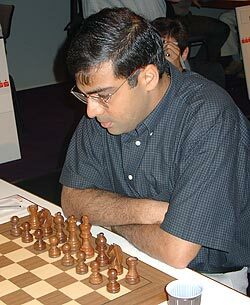 Shakhriyaz Mamedyarov (2646, +0) while Pentala Harikrishna made more gains at the HB Global Chess Challenge (2645, +13). India (as well as China) is rising as indicated by top players in each junior age category. In Africa, Morocco's Hichem Hamdouchi gains (2567, +9) to keep his #1 ranking in Africa safe. Africa has a new GM and it is the young Egyptian star Ahmed Adly (2484, +0) who earned his 3rd GM norm in Dubai past December. He is the first GM in Egypt's history! Egyptian trio of Essam El-Gindy (2520, +14), Adly (2484, +4) and Abdelnabbi Imed (2460, -2) represent the nucleus of a strong Egyptian side. Adly remains Africa's top junior and appears to be the brightest rising star on the continent. South of the Sahara, George Michelakis (2437, +0) of South Africa has been inactive while Amon Simutowe (2435, +0) of Zambia will gain points from the HB Global Chess challenge and . Robert Gwaze of Zimbabwe is quite active (2410), but his federation does appears to be in bad standing with FIDE and does not appear on the roster of federations. Watu Kobese (2400, +0) recently had a good showing in the South African Open. The African Championships are scheduled for October in Zambia, so these men will be trying to win a spot in the next FIDE qualifier. Africa has a new WFM in Polisle Ncube of Zimbabwe. She joins Boikhusto Mudongo as the titled women south of the Sahara. In the Caribbean, Cuba's Lázaro Bruzon (2658, +6) reclaimed the regional rating lead as compatriot Lenier Domínguez (2669, -30) dived to #2. Barbados' Kevin Denny (2365, +33) pads his lead with a convincing win at the qualifier. Philip Corbin (2261, -18) lost the points gained the previous rating report. He also played in the HB Global Chess Challenge, but had a mediocre result. In North America, the top player of African descent is Maurice Ashley (2465, +0) followed by fellow "Black Bear" William Morrison (2354, +0) and tactical wizard Emory Tate (2335, +0). Stephen Muhammad (2334, +0) will gain after strong showing at the Foxwoods tournament (4th IM norm) and the HB Global Chess Challenge. Michael Schleifer of Canada (2340, +0) is steady. In Europe the top Black player is Sweden's Pontus Carlsson (2394, -6) lost his 2400 rating, but will regain after his IM result at the Bajada de la Virgen. Like Muhammad, he has earned four IM norms and hopefully it will result in an automatic confirmation in October.